A pair of popular YouTubers (with a collective more than 2.5 million subscribers) are set to make their feature film debut. 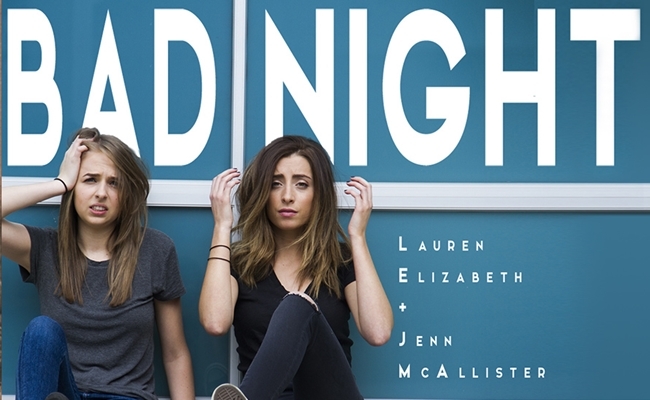 Lauren Elizabeth (aka LoveLaurenElizabeth) and Jenn McAllister (aka JennXPenn) are set to star in Bad Night, a film produced by GRB Entertainment. Bad Night, which was announced at Playlist Live, will be the first film from GRB, which is best known for producing reality TV shows like A&E’s Intervention. The project will star McAllister and Elizabeth as a pair of high school students who get lost during a class field trip. That plot summary, with its school-based shenanigans, resembles Cameron Dallas vehicle Expelled, another film led by an online video star. The similarities between Bad Night and Expelled run a lot deeper than their respective plots. Expelled brought content creators from the AwesomenessTV multi-channel network to the big screen, and both Elizabeth and McAllister are represented by Big Frame, the talent management company owned by AwesomenessTV. Two of Big Frame’s employees, Byron Austen Ashley and Rana Zand, will produce the film alongside McAllister, Elizabeth, and AJ Tesler. The film’s directing duo also hails from the YouTube community. Brothers Chris and Nick Riedell, who collectively won the first season of YOMYOMF’s Internet Icon web series, will get behind the camera for Bad Night. 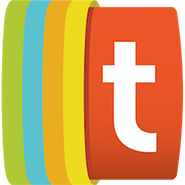 The Riedell Brothers also directed Camp Takota, the feature film that stars YouTube content creators Grace Helbig, Hannah Hart, and Mamrie Hart. In case you needed any more proof that Bad Night will appeal to fans of its two stars, Deadline reported that the movie was cast before its script was developed. “The creative freedom that GRB has afforded me and my team to make the movie the way we wanted to, with the story we wanted to, has been spectacular, and that’s a large reason everyone working on this is so excited about this,” said Tesler. Even if it may be a vehicle for its two stars, Bad Night also sports an impressive supporting cast. Casey Wilson, Matt Walsh, and Adam Pally are some of the notable actors with roles in the film. Production on Bad Night begins February 10th. No release date has been announced as of yet.